Clay is a very fine textured soil with extremely small individual particles that make it highly water absorbent and poorly drained. Clay also becomes brick-like when it gets dry becoming very hard and brittle. Clay can be one of the gardener's biggest challenges. Unless a plant is well-suited for clay conditions, it likely won’t do well. There are many ways to try and deal with clay soils. And some techniques can improve drainage and aeration and increase transplanting survival and long term success. 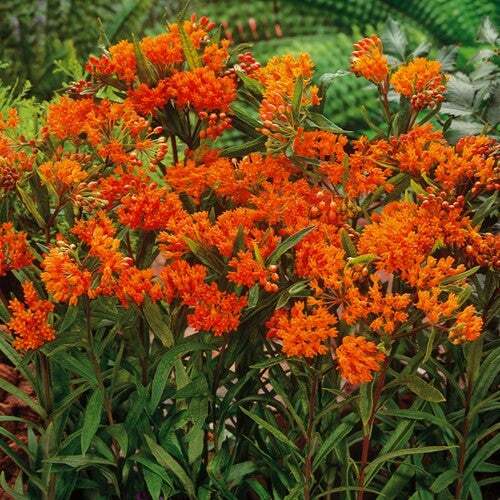 Asclepias tuberosa clay form does well in heavy soils. What Is Clay Soil and What To Do With It? Clay is very fine textured with extremely small individual particles that form a highly water absorbent, poorly drained soil. Clay also becomes brick-like when it gets dry becoming very hard and brittle and resistant to re-wetting. Wow, what's a plant to do? Amending clay at planting time with high quality compost, Yum Yum Mix, earthworm castings and granular molasses will help to "fluff up" the soil and improve both water penetration and the oxygen supply to the roots (aeration). I also recommend adding earth worms like red wigglers to speed up the soil's conversion. Regular "feeding" of the clay in fall by top dressing with organic matter and Yum Yum Mix Winterizer will help to keep the clay softer and more permeable up via the action of the soil's active flora and fauna. 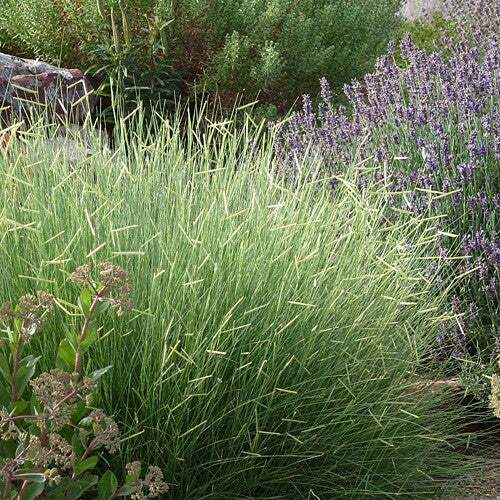 Blonde Ambition Grass is an excellent choice for clay. Mineral aerators like coarse perlite (readily available at indoor grow shops) and small size volcanic scoria (if locally available) and expanded shale can be mixed to the soil to a depth of about 1 foot deep along with the soil amendments listed above. The soil can also be "bermed,” building mounds to plant onto or lifted into terraced and raised beds. But the bottom line is that if a plant doesn't have the constitution to deal with this Jekyll and Hyde soil, then no amount of amendments will bring long-term success. Below are my top ten picks for plants that will do well in clay soil. 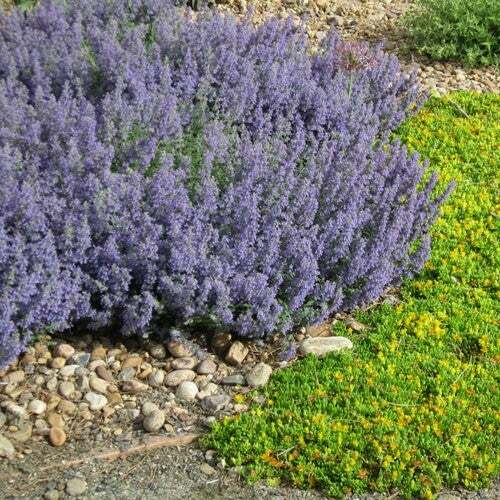 A pollinator favorite, Nepeta faassenii (Blue Catmint) is a perfect choice for heavy or average soils.